We provided architectural services for this project in order to form a large kitchen, dining and utility extension, which would form the hub of this family home in Guiseley, near Leeds. After a successful planning application was submitted to Leeds City Council, we set about producing a detailed package of construction drawings which enabled us to obtain building regulations approval, and also provided the building contractor with the information he needed to undertake the necessary works. 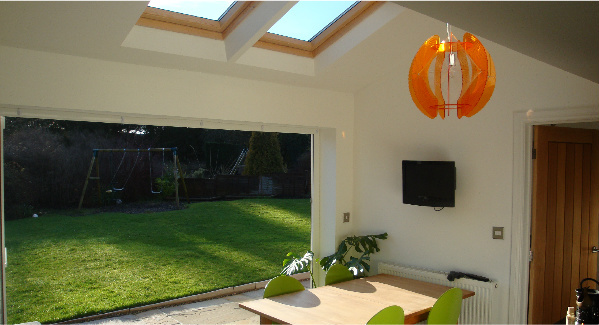 The extension comprised of a large dining space, accessed off an existing kitchen with bi-folding doors incorporated, in order to allow the client to enjoy the enclosed, south-facing rear garden. 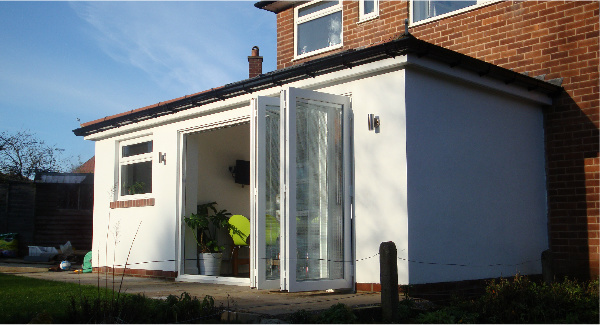 Although the existing house was built in red brick, the extension was faced with white render to compliment the contemporary feel that the client was seeking to achieve. The existing rear wall of the kitchen was opened up to create a large, open dining / kitchen space, and the existing kitchen was the subject of a modern replacement incorporating a number of state-of-the-art appliances. This project is very much typical of the day-to-day types of architectural commissions we enjoy, and we believe we have provided the client with an attractive central living space to their family home which they are delighted with….